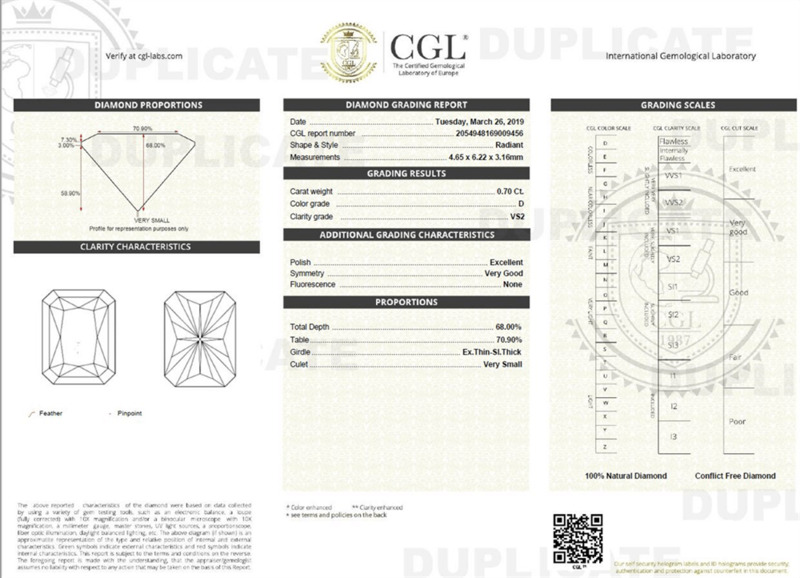 The Radiant Cut Diamond is a straight-edged rectangular or square stone with cut corners.The radiant cut diamond has 62-70 facets.Radiant Cut Diamonds are principally used for important center stones primarily for rings but also for pendant.They are rarely used for earrings or as side stones because they are hard to calibrate and match.To get matched pairs you may have to sort through a hundred stones or re cut to calibrate. 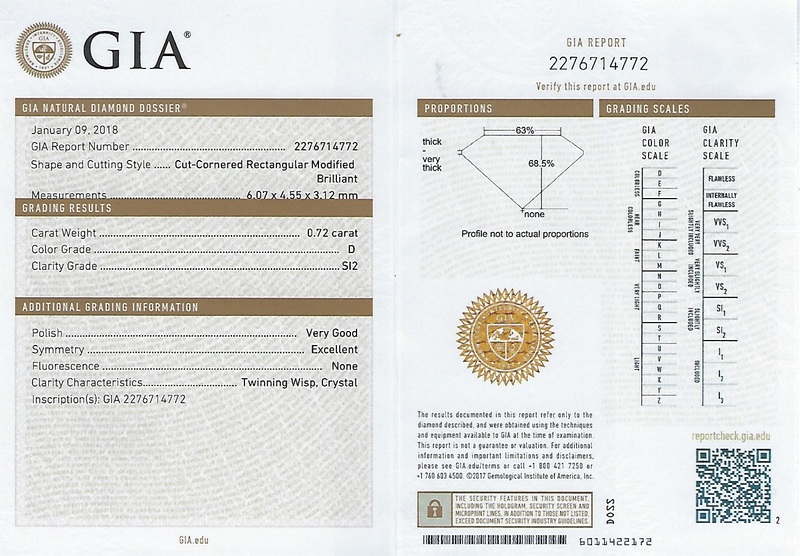 The radiant cut diamond is a beautiful alternative to the very popular princess cut diamonds. It is considered to be one of those few square cuts that can deliver the fire and brilliance of the brilliant round diamond cut. This combination of the fire and brilliance of the round brilliant cut and in a square shape makes the radiant cut diamond a mixed cut. 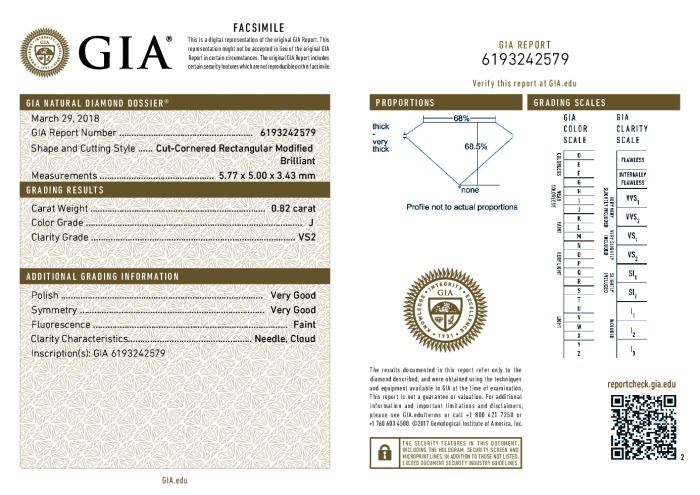 The classic look, the exceptional sparkle, the angled or trimmed corners are some of the most attractive traits which render the radiant cut diamond its uniqueness. Thanks to the skilled craftsmanship of Henry Grossbard of Radiant Cut Diamond Company, we today have the radiant cut diamond. It was created by him in the year 1977. The initial square or step-cut edges did not possess the much talked about fire and brilliance of the round brilliant cut. Grossbard changed people’s perception of the square and rectangular shape through his creation of the hybrid style. He is credited for the creation of the first square cut diamond which he endowed with a stunning brilliant-cut facet pattern on the crown and pavilion. There is a total of 70 facets,which are distributed as 37 on the pavilion, 25 on the crown and 8 on the girdle. 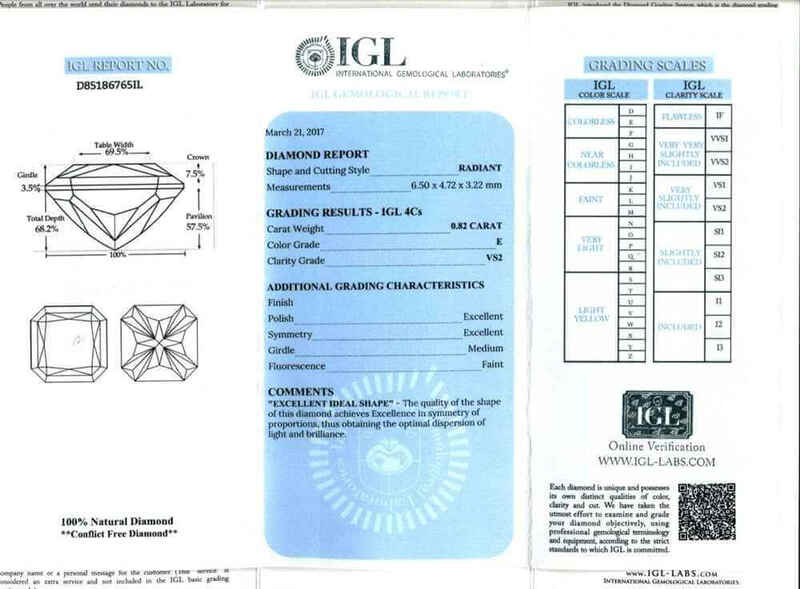 The facets are a blend of triangular and non-triangular, the arrangement of which accounts for the maximization of the fire and brilliance of the radiant cut diamond. 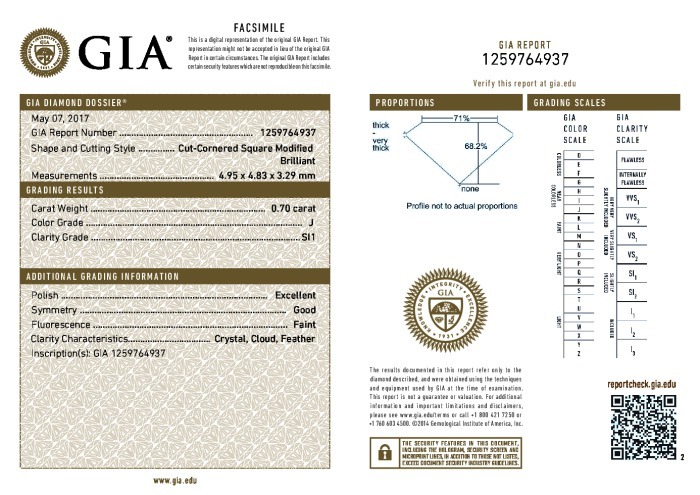 An ideal square radiant cut is one which has a ratio between 1.00 and 1.05. 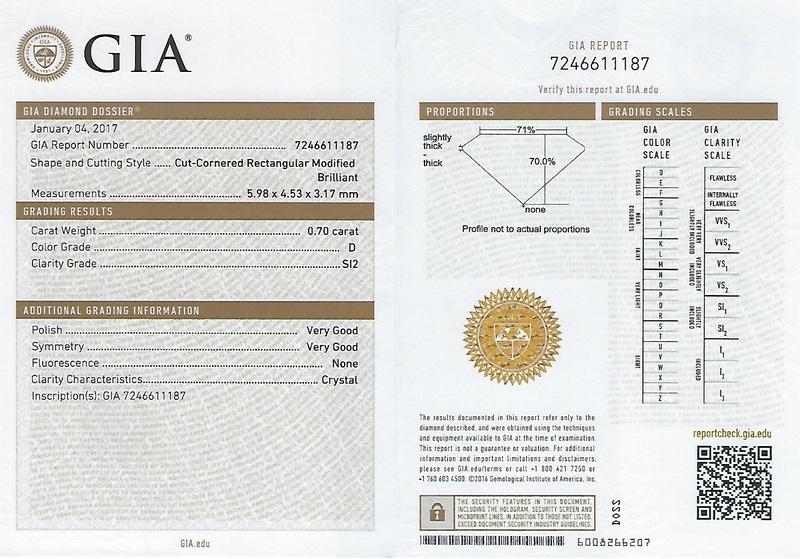 A rectangular radiant cut of ratio 1.05 to 1.50 on the other hand is considered ideal. The radiant cut diamond is admired widely for its amazing intensity of fire. The average of 70 facets contributes to giving it a great ‘wow’ factor- the stunning fire and flash which the radiant cut diamond is so famous for. Apart from the princess cut diamonds, it is the radiant cut, which is not only square, but also exhibits a high intensity of brilliance and fire. The truncated corners gives the cut enough protection and prevents it from breaking or chipping. The trimmed corners will also not stand as an obstacle in day to day activities as it will not tend to catch on clothes or hair. The radiant cut is a very forgiving cut. It camouflages small flaws, blemishes and color tints. 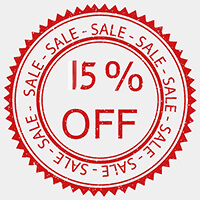 In other words, it does not magnify blemishes, color tints and inclusions. 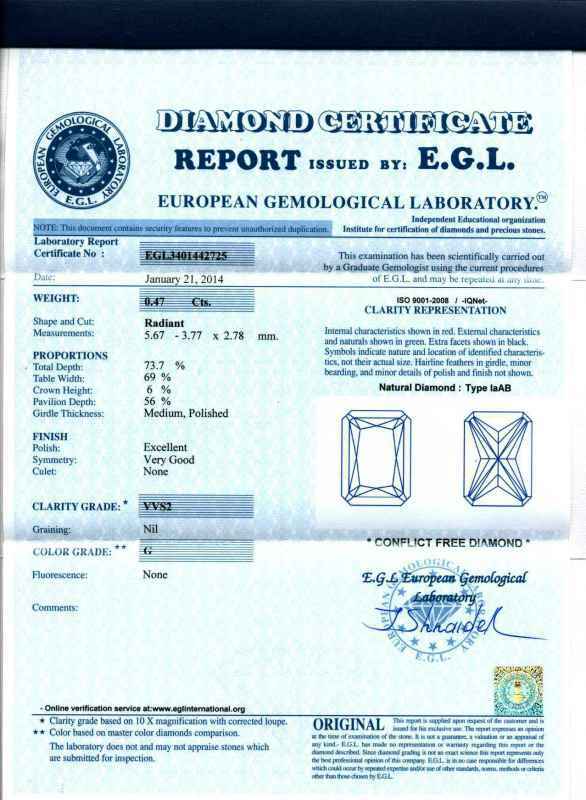 The radiant cut diamond being a deep cut, a one carat diamond will not look as large as a shallow cut diamond like a one carat emerald cut diamond. In a more rectangular radiant cut diamond, one can come across a bow-tie effect (though it may be very rare) that ranges from near invisible to severe. 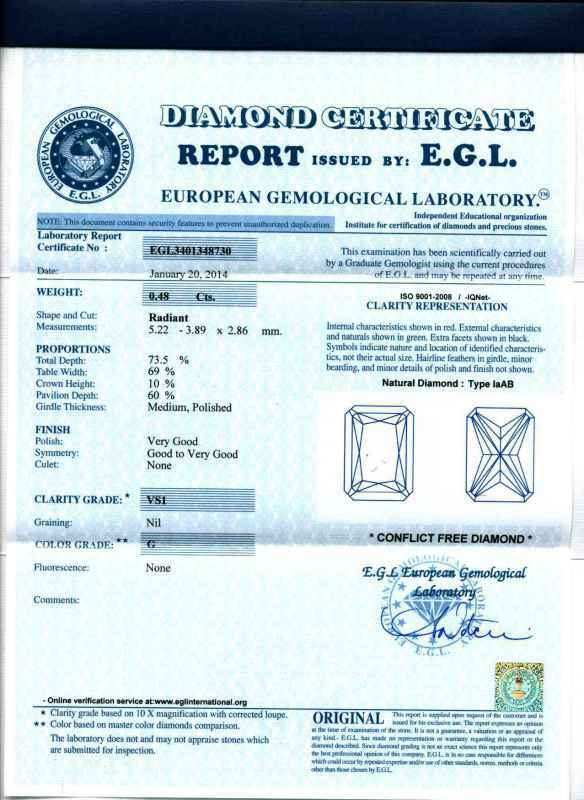 This bow-tie effect can be ascertained only upon visual inspection as no diamond certificate carries such a report. 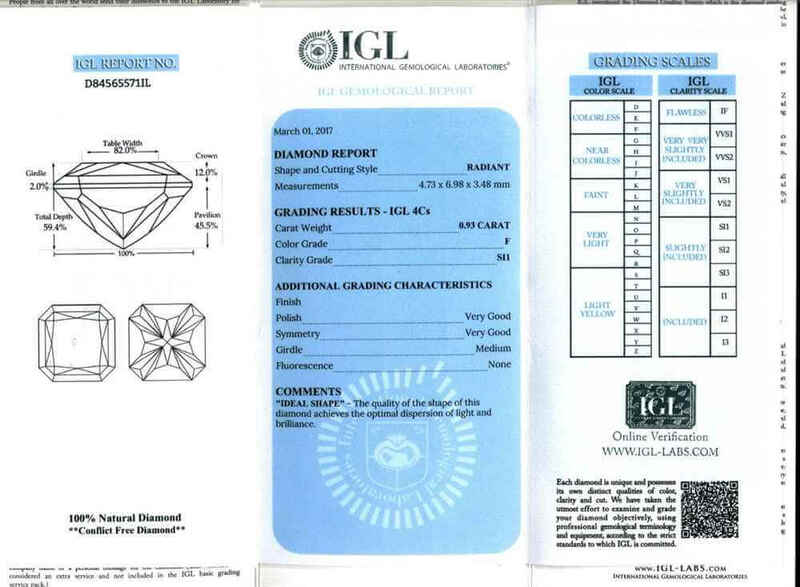 Look for Radiant cut diamonds from jewelers who provides certificates from such renowned laboratories as GIA, EGL, AGS or IGI. You need to know the feature of an original radiant cut diamond. They have 70 facets and trimmed corners and they are available in square as well as rectangular shapes. 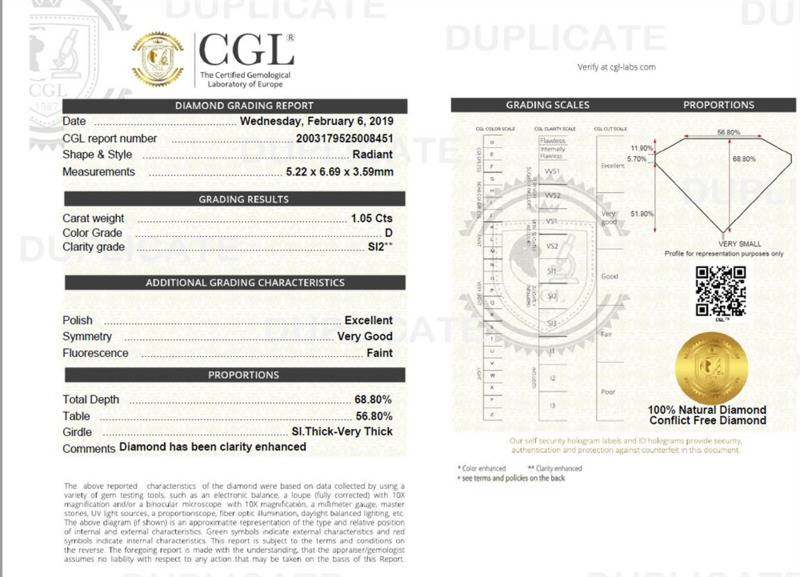 Find a trusted source for your radiant cut diamond because only a limited number of jewelry retailers offer high quality and genuine radiant cut diamonds.